On June 30, the Union Cabinet lead by Prime Minister Narendra Modi approved the National Mineral Exploration Policy (NMEP) drafted in 2015. 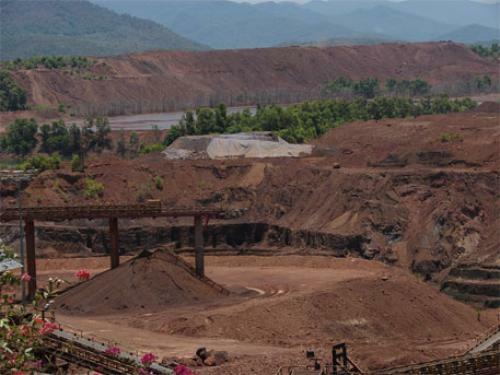 While Union Minister for Steel and Mines, Narendra Singh Tomar has stated that an amount of Rs 2,116 crores would be required to implement the policy, it also envisages private investment from domestic as well as foreign companies in the mineral exploration sector. On the other hand, environmentalists have said that the policy undermines some of the important court judgements and accused the Modi government for not holding a consultation with various groups on the policy. Tomar stated that India has only been able to explore 10 per cent of the total mineable reserves for non-coal and non fuel minerals. “After the amendments to the Mines and Minerals (Development and Regulation) Act, all explored mines were to be auctioned. [But] without the National Mineral Exploration policy, activity in exploration could not happen. While we have Geological Survey of India and Mineral Exploration Company Ltd, they have limited capabilities. Therefore, to attract the private sector, some steps are required,” Tomar said. Balwinder Kumar, Secretary, Union Ministry of Mines said that the move would open up the mining sector, especially precious and strategic metals including rare earths so that imports could be cut down. “In the first phase, we have identified 100 blocks of roughly 100 square metre area, each of which will be auctioned. SBI Capital Markets has been engaged as a consultant to come up with the modalities of the auction. The entire process will take about six months to begin,” said Kumar. The policy also envisages for the creation of a National Geoscientific Data Repository. The government will also carry out National Aerogeophysical Programme for acquiring baseline data for targeting concealed mineral deposits. Kumar added that exploration companies would be allowed to make upfront payments to collect their revenue share. He said that state governments with such deposits would hold these auctions aided by the Union government. However, this hasn’t gone down well with environmental activists. “Few companies have requisite expertise for exploration. The policy has no safeguards to stop cartelisation,” said R Sreedhar from Mines, Minerals and People (MMP), a non-profit working on the rights of people affected by mining activities. In March, the Modi government also allowed the auctioning of captive mineral blocks by commercial firms by amending the Mines and Mineral (Development and Regulation) Act. On the other hand, Ashok Shrimali, an activist from MMP said that the new policy was silent on how District Mineral Foundation (DMF), a body created under MMDR would share profits of mining with the communities impacted by it.